Mostly clear. Low 61F. Winds light and variable..
Noah Russell Bailey Boyd, 19, of Visalia, California died on Tuesday, March 26, 2019. Visitation will be held on Saturday, April 6, 2019 from 2 - 4 p.m. with Celebration of Life Services following at 4 p.m. at Miller Memorial Chapel, 1120 W. Goshen Avenue in Visalia, CA. Tributes and condolences may be made at www.millerchapel.com. Arrangements entrusted to Miller Memorial Chapel, 1120 W. Goshen Ave., Visalia, CA (559) 732-8371. Our mom Mary Lopez Caudillo was born in the quaint little town of San Juan Bautista. A blessing to her parents Manuel Lopez and Louisa Granado Lopez. She was baptized in the famous Mission San Juan Bautista. Her upbringing was hard as a child, living a nomadic life with her parents and 5 siblings they followed the crop harvest as migrant farmers throughout the state of California. Mom met the love of her life one Guadalupe Hernandez Caudillo in the small town of Corcoran. They were joined in marriage by a civil ceremony on March 9, 1943. Together they would raise a family and enjoy the fruits of their legacy in all three of their children, son Manuel wife Rachel, daughter Anita late husband David Magana, son Raymond wife Melanie, extended family Mike and Jean Femister, 7 grandchildren, 10 great grandchildren, and 1 great-great grandchild (5th generation). Mom's love permeated to everyone she came to know. It was a love that was genuine and giving especially to her grandchildren. Her giving was not limited to her family but to organizations such as St. Jude Hospital, ASPCA, Jimmy Swaggart Ministries and others. Mom adored her little dachshund mix Chiquiito to the point of having his rear end wiped when coming in from doing “his business' outside! If she was not cleaning him, she had us do it! Mom was a jewel in the rough, a true role model, and a devout Christian with her faith in our Lord Jesus Christ. It is by her love of her family she weathered many storms! Through hard times and God's good graces, the marriage persevered until our dad was called to be with our Father in heaven on July 1, 2010, and now with their late grandson Steven Magana they are together again! Two things defined Tommy Trader's life – his work ethic and cars. Born during the great depression in Oklahoma, he was selling newspapers, magazines and seeds on the corner of 52nd and Normandy in Los Angeles at age six. He left school at age 14 to join the army during WWII although he did not see action as the war was ending. He was very proud of his service and had his Army picture on his desk at work until he died. He specifically said he would like the picture of him in his Army uniform in his obituary when he died. Tommy lived in Los Angeles and Washington State before finding his home in Hanford, California at the age of 19. After working in his stepfather's body shop he became a car salesman in his early 20's. For the next 65 years Tommy helped farmers buy work trucks, he helped teens finance their first car, he helped young couples make the transition into the right vehicle for a growing family. He never tired of going to the car lot and helping his customers find that perfect car. He sold cars all of his adult life, most of those years for the local Ford Dealerships, starting with Bill Stevenson Ford, Bob Greene Ford, Kingsrow Ford, Valley Ford and finally Keller Ford. He also ventured out on his own and opened Tommy Trader's Fine Used Cars for a few years. Tommy earned many awards and trips over the years due to his excellent sales skills. He also worked as sales manager and general manager but his love was helping customers. For many years Tommy was a race car driver. He raced jalopies, hard tops, full midgets and quarter midgets. Johnny Boyd, his friend and Indy 500 race car driver, once remarked that Tommy was good enough to race at the Indy 500! But he never had the desire to leave the central valley and he wanted to be home with his family. Tommy's life growing up was rough at times and that may have been why he had a lifelong sock fetish. He had tons of pairs of socks, and was always happy to get more as gifts. He only owned two pairs of socks at one point as a child - one for wearing and one to launder. Tommy's birth name was Donald Gene McPherson. What most people don't know is that Tommy was a childhood nickname. Trader was a name his stepfather used, and when Tommy went to work for him at his body shop, the name stuck. Coming from a rough childhood and facing the challenges he had with his own daughter, Donna, Tommy had a soft spot in his heart for children in need; really, anyone in need. He was very generous, very sentimental and he had a heart of gold. For someone who only had an 8th grade education, Tommy was a wise man and gave wonderful advice. Tommy died suddenly at home on Monday, March 25. One of his neighbors said on Facebook that he stopped his car and visited with her Sunday afternoon on his way to town. Tommy was preceded in death by his stepfather Bob Trader, mother Maxine Stanley, daughter Lesli Stanton, beloved wife Donna “Trader” McPherson, brothers Eddie McPherson and Kerby Trader. Sisters Dorothy Reynolds and Delores Beaver. Tommy is survived by his children, Donna Jean McPherson, Sherry Russell (Terry), Terry Warby, and Rich Brown. Son-in-law Tom Stanton. Grandchildren Michael (Martin) Cardoza (Niki), Anthony Martin (Amber), Justin Russell (Laura), Jared Russell (Jamie), Cameron Brown (Kara) and Jennifer Aspeitia. He also leaves behind 12 great grandchildren. A celebration of life will be held Saturday, April 6 at Hanford Fraternal Hall at noon. TT had a tremendous impact on many, many people and he will be greatly missed. Randle Watkins was born July 21, 1925 in Sturkie, Arkansas and passed away on March 29, 2019 in Armona, California. A member of the Church of Christ for all of his 93 years, he had a gentle sense of humor and he lighted and encouraged many lives. He served in the South Pacific in WWII and was a Fireman for Kings County 24 years leading the Armona and Volunteer Fire Department for 17 years. 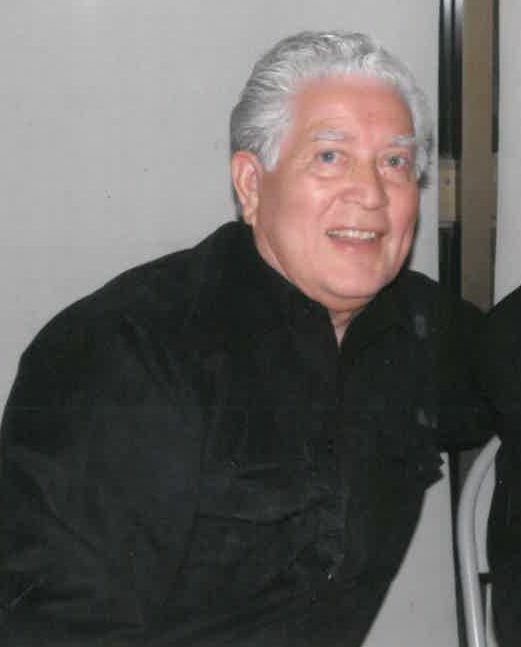 He was also an active member of the Lions Club 1965-1997 and president of the Armona Senior Citizens 1989-1993. Randle loved to travel with his wife, Rosa, but he would not fly. Randle was preceded in death by his wife Rosa, sisters Lorene, Eulah and Ola and brothers Basil, Freelon and Everett. He is survived by nieces Karen Watkins, Sondra Froelich (Roger), Lynn Bailey (Paul), Lisa Fitchpatrick (Allen), Debbie Bailey, Pam Logemann (Rick), Cindy O'Donnell (Pat) as well as nephews Dennis Willis (Barbara), Greg Willis, Merle Watkins, Tom Watkins (Hermien). A Graveside Service will be held on Thursday, April 4th at 1 pm at the Grangeville Cemetery in Armona with a reception to follow at First Missionary Baptist Church of Armona; 10649 Railroad Ave. All are welcome to celebrate Randle's life. Family and Friends are invited to view Randle's legacy at www.peoplesfuneralchapel.com and write condolences. Jacquelyn “Jacki” Cardoza, a resident of Hanford passed away on Thursday, March 21, 2019 at the age of 57 due to heart failure from complications from pneumonia. She was a graduate of Hanford High School class of 1980. She was a proud daughter, sister, Aunt “Nina”, Godmother and fur mom to sweet Roxy. During her life she made lifelong friends while working at The Hanford Sentinel as a manager in the Ad Design Department. She loved anything Tinkerbell and her favorite frog collectibles. Her presence, infectious smile, sense of humor, fun personality and love of dancing at any family event, class reunion or Sentinel party will be missed by all. Jacki was proud of her Portuguese heritage and represented Pismo Beach as their senior queen for the St. Anthony's Celebration. She is survived by her mother, Alma Cardoza of Hanford; nephews, Colby "CJ" Amaral, Kaeten "Bubby" Amaral and Kyler Amaral of Hanford; brother-in-law Shannon Amaral of Hanford; sissy Holly Nickell (Johnny) of Hanford and many aunts, uncles, cousins and close friends. She was preceded in death by her father; Louie Cardoza and sister, Kelly Cardoza Amaral. A Memorial Service will be held on Saturday, April 6, 2019 at Whitehurst-McNamara Funeral Home in Hanford at 2:00 p.m. Arrangements under the direction of Whitehurst-McNamara Funeral Services. Don Rold, 87, of Dinuba died Tuesday, March 26, 2019. Graveside Service will be on Friday, April 5, 2019 at 1:30PM at San Joaquin Valley National Cemetery, 32053 McCabe Rd, Santa Nella, CA 95322.